The Dogme 95 manifesto had a big impact on my creative life. It was an early exposure not just to the idea that there could be new rules of engagement around a topic; but also that those rules of engagement could be simple and liberating. In the late ‘90s I was studying for my Masters in IT Management. Don’t ask me why. * My thesis was on capturing oral history in rural communities. I picked up a digital video camera, bought one of the first iMacs, and went to work. It was epiphanic. Suddenly, I was in control, a one-man shop, a creative force! I was a child again, trying things out, self-congratulatory, experimental, churning, learning. 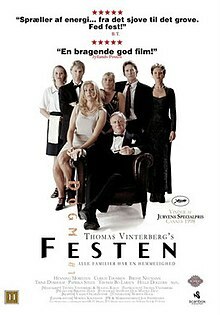 In Dogme 95 there is a firm set of rules, called the Vow of Chastity, but its undertow is: take control, experiment, go with the flow, work at one’s own behest. It is revolutionary.